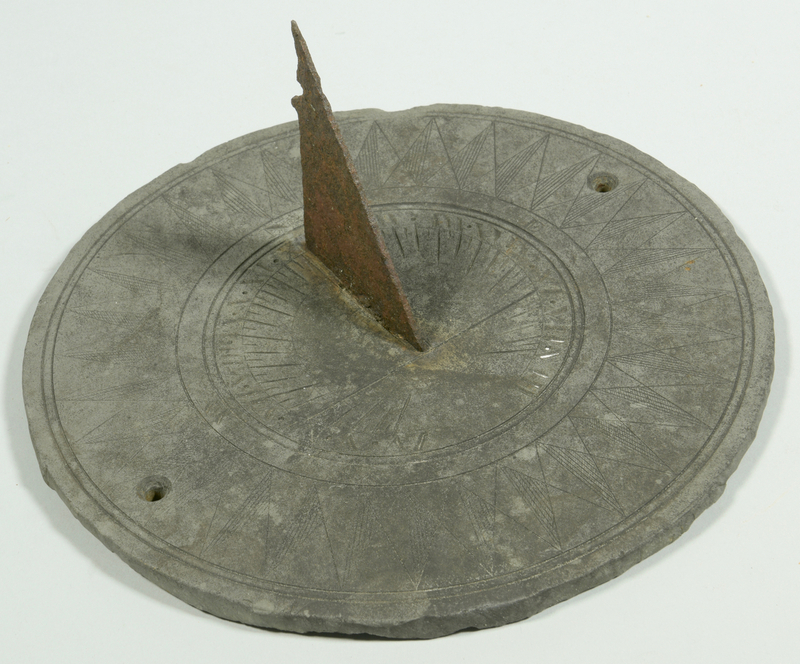 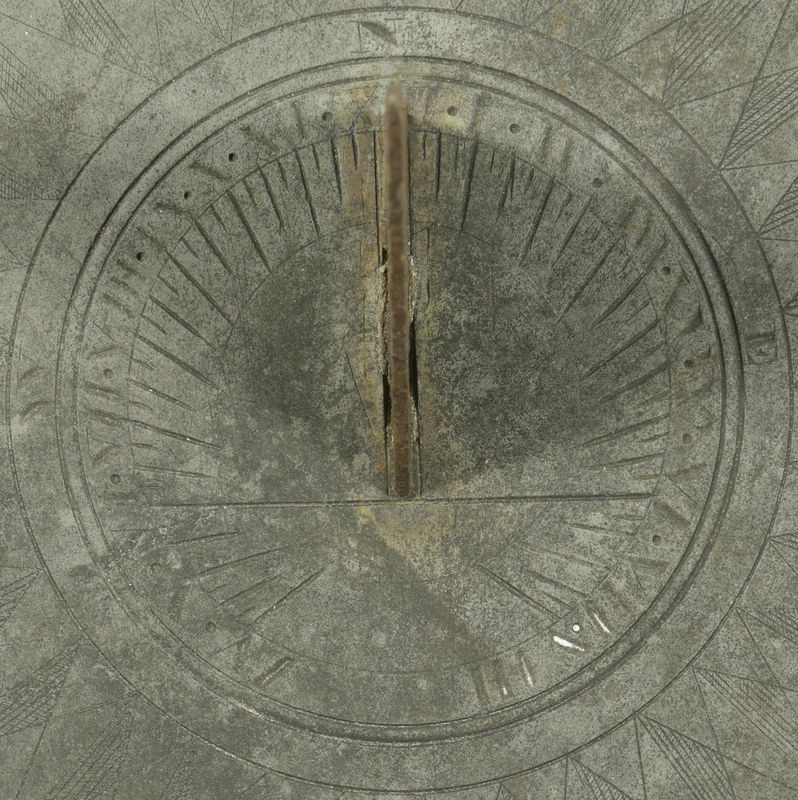 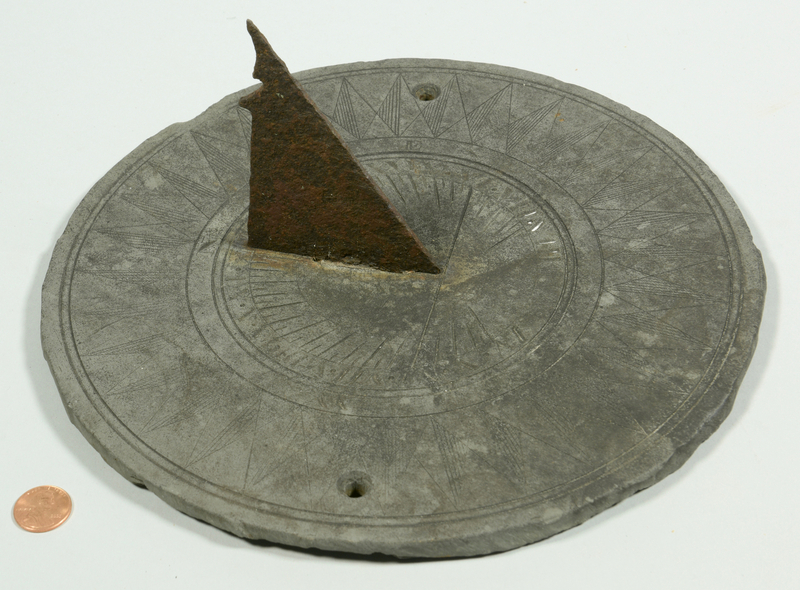 Late 18th to early 19th century sundial, slate dial plate with engraved hour lines and numerals, iron gnomon. Two screw holes for attaching to base (not included). 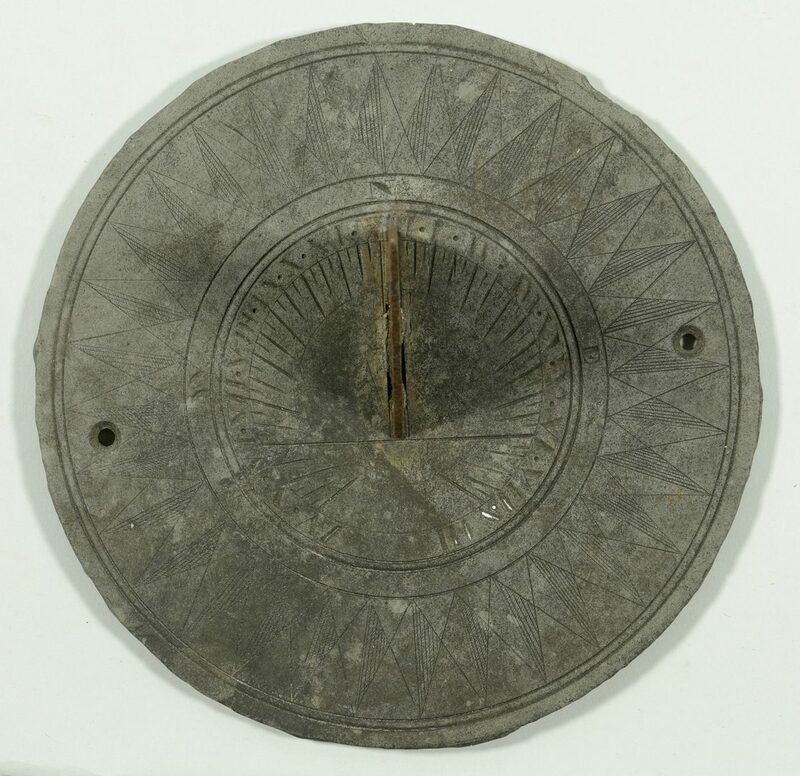 9 3/4" diameter. 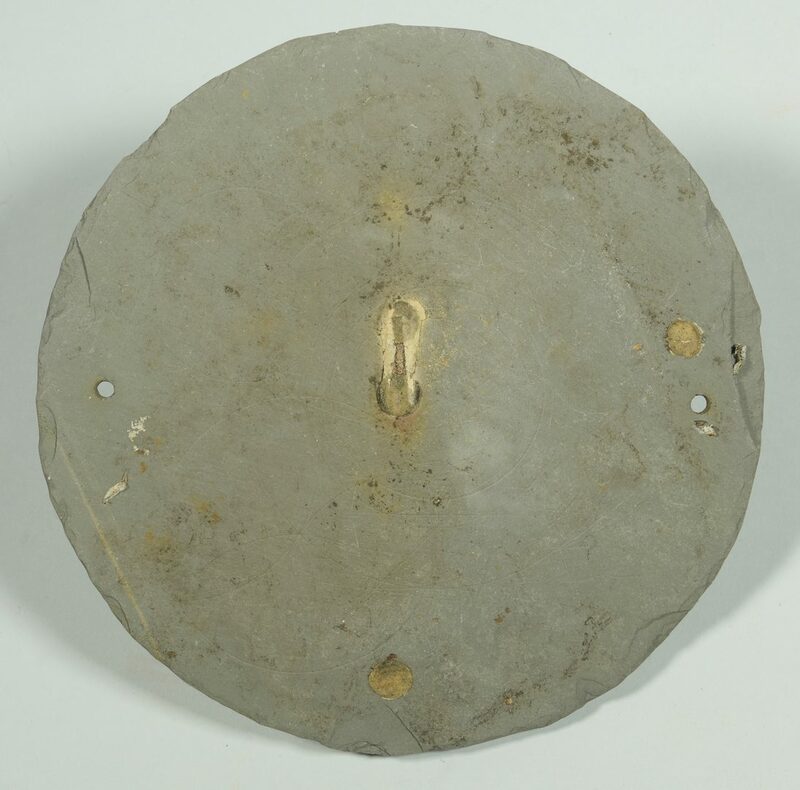 CONDITION: Wear and erosion from outside exposure, couple of shallow edge chips. 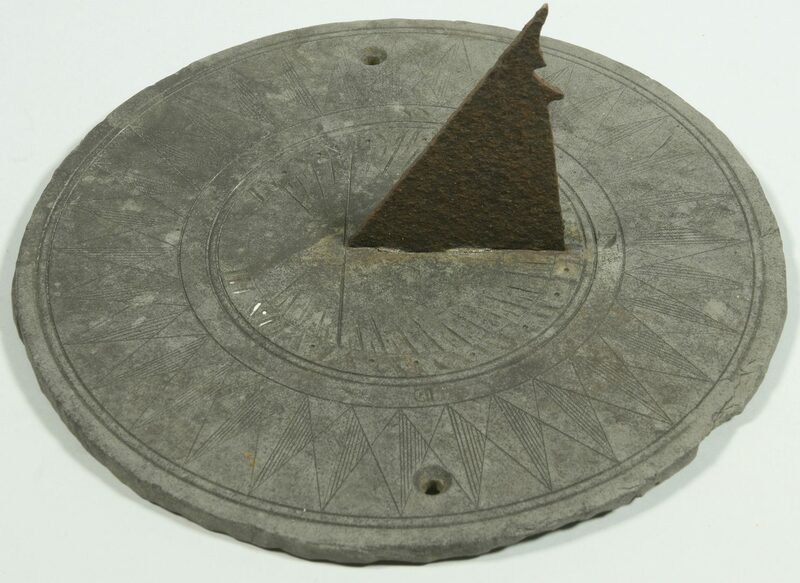 Iron gnomon is possible replacement.